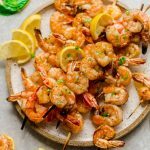 Low Carb Shrimp Kebabs with Lemon Butter Sauce – easy grilled shrimp skewers seasoned with a fresh and flavorful lemon butter sauce. 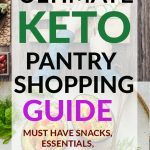 Perfect keto-friendly appetizers for summer parties or serve with your favorite side for lunches and dinners. 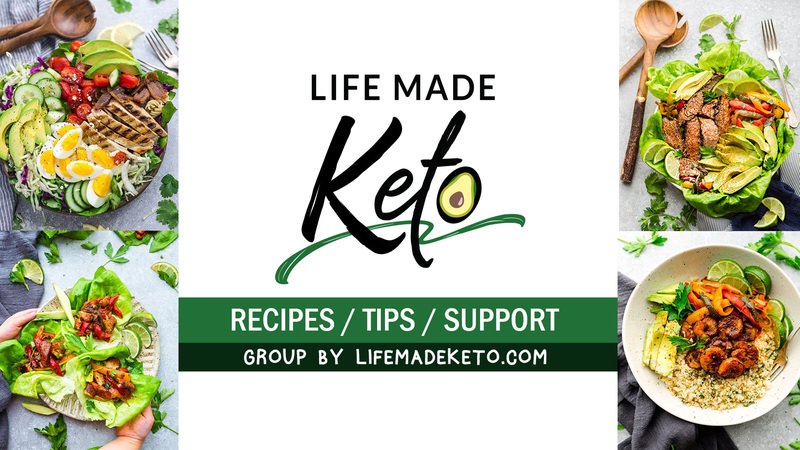 Summer is all about grilling and these Low Carb Shrimp Kebabs are a delicious option if you’re looking for an easy recipe to add to your dinner menu. 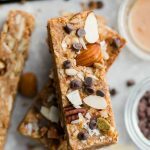 They are fresh, flavorful and come together in under 30 minutes. We especially love throwing some shrimp kabobs on the barbecue when we are entertaining for a summer cookout or party. Our guests always think that foods served on a stick are always more fun to eat. 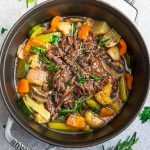 All you need to do is season them with a little bit of lemon, herbs and butter and they cook up tender, juicy and full of flavor. Start off by seasoning your shrimp some coarse sea salt, black pepper, fresh chopped oregano, thyme and parsley. 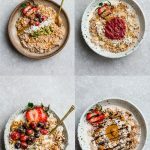 If you don’t have fresh, you can substitute with dried and reduce the amount. To make the shrimp marinade / sauce, whisk together some lemon juice, melted ghee (or butter for non Paleo) and minced garlic. Add in some more freshly chopped parsley and brush over the shrimp. HOW LONG DO YOU COOK SHRIMP ON THE BARBECUE? Shrimp cook very quickly, so you’ll have to watch your shrimp to make sure they don’t overcook. 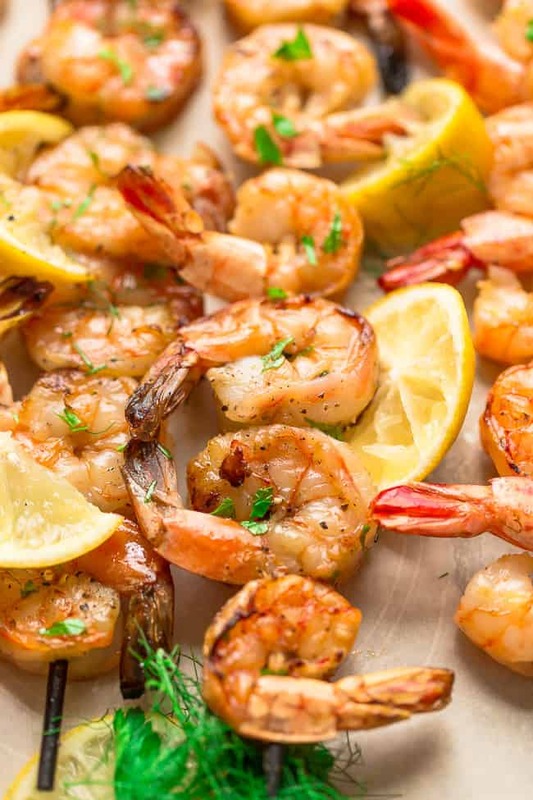 Shrimp typically take about 2-3 minutes per side on the grill. You’ll be able to tell when the shrimp are done because they’ll turn pink and opaque. 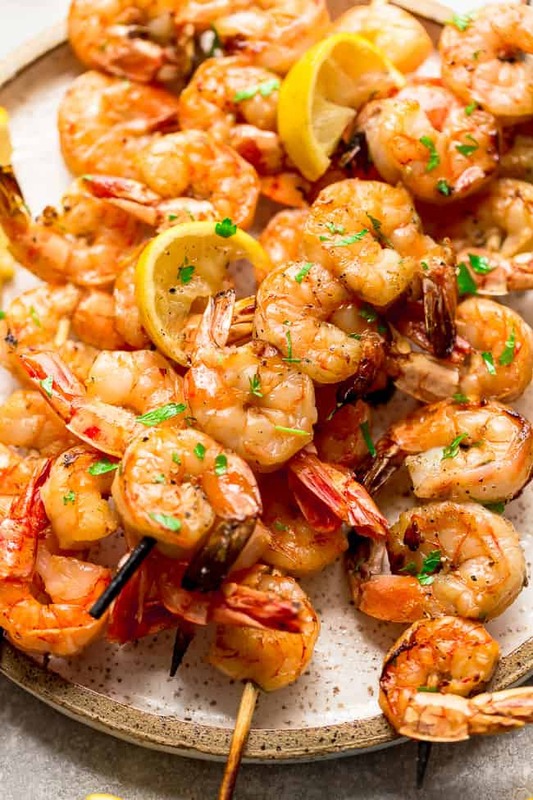 WHAT SIZE SHRIMP IS GOOD FOR COOKING ON THE GRILL? These shrimp are the jumbo-sized shrimp and usually come in a bag of 16-20 per pound. If you can’t find the larger ones, feel free to use what you have on hand instead. 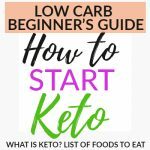 WHAT CAN I SERVE THESE LOW CARB SHRIMP KEBABS WITH? 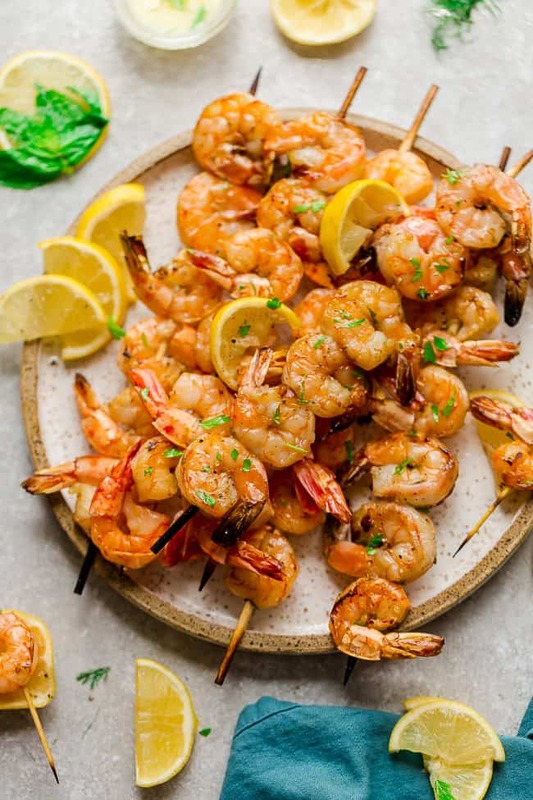 Toss a few of these grilled shrimp skewers on a plate with a salad or over a bed of cauliflower rice or zucchini noodles for a low carb / keto dinner. Low Carb Shrimp Kebabs with Lemon Herb Butter Sauce - seasoned with a fresh and flavorful citrus herb combo for the perfect light and tasty low carb dish for summer parties, lunches and dinners. Preheat the grill (or grill pan) to medium-high. Using a brush, clean the grill and grease with oil using a long pair of tongs with some folded paper towels dipped in some olive oil. Season the shrimp with salt, pepper, garlic, oregano, and 2 teaspoons parsley in a medium bowl. Toss to combine. Thread the shrimp onto skewers. If using wooden skewers, soak them in water for 30 minutes ahead of time to prevent burning and splintering. In a small bowl, combine the melted ghee (or butter), garlic, lemon juice and another 1 teaspoon parsley together. Brush lemon butter sauce on both sides of shrimp, reserving some for later. Grill skewers for 3-4 minutes on each side or until shrimp is opaque and vegetables are tender or starting to brown just slightly. Brush remaining lemon sauce over the shrimp and allow to cook for 10 more seconds. Remove from heat and serve with some more fresh herbs and lemon wedges, if desired.